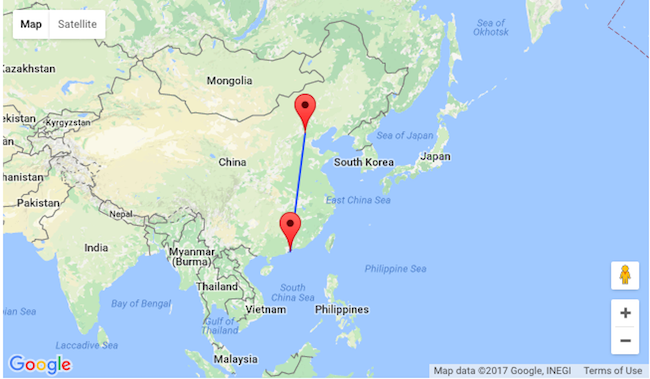 Non-stop from Hong Kong to Beijing for $146! Air China offering and good fare on non-stop flights from Hong Kong to Beijing, China with rates starting as low as $146 for a round trip with included checked bag and meals! It’s a great chance to explore the Middle Kingdom and discover Chinese culture and legacy. The capital of China, whose story goes back at least 3000 years, is one of the most popular tourist destinations in the world. You’ll find in Beijing a wealth of history, both ancient (the Hall of Preserving Harmony, Summer Palace, Forbidden City) and more recent (Chairman Mao Memorial Hall, Tiananmen Square). For the best market experience, choose the Dirt Market over the touristy Silk Market. The Great Wall of China, one of the greatest sights in the world, is another attraction that can’t be missed! In Beijing we suggest you stay at Michael’s House for $61/night (inclusive of breakfast) with good reviews and free cancellation.